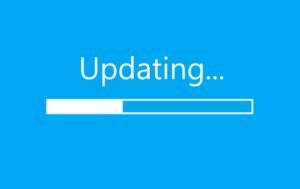 Windows Updates: Stop Ignoring Them – Accudata Service, Inc.
We see it all the time: clients refuse to install their Windows updates, quite often feeling like the updates will only “break” their systems and make them less functional. We want to shed some light on why these updates are actually crucial for your operating system and how we can help you manage them. So, let’s get down to the details. Many are under the assumption that Windows updates pretty much only consist of feature enhancements that are unnecessary and they can easily live without. Surprisingly, most of those updates include security updates designed to help protect your system. Nothing is perfect, including your operating system. Developers of that operating system know this, so they are constantly checking for flaws in their systems that could allow malware and hackers to sneak in, steal and destroy data on your computer, and possibly even shut down your entire system. When developers come across these “holes” in their systems, their mission becomes creating a patch to cover this hole as soon as possible and push it out in the form of a system update. If these updates are ignored, the “hole” in the operating system remains, leaving it vulnerable to a malicious attack. Case in point: the WannaCry ransomware attack that occurred in May 2017 and the Petya virus attack that followed immediately after in June 2017; both attacks took advantage of users who ignored a crucial Windows update. Upon infecting a system, the Petya virus completely wiped its hard drive. A hospital in West Virginia had to replace all of its network computers after getting infected because they had been wiped and were no longer usable. Microsoft had released the patch a month prior to the release of WannaCry, however many users chose to overlook the update, making them prime targets for the attacks. Installing updates is a critical component in helping to keep your system secure, but you shouldn’t have to give them thought, so we created Premium Care. Managing the processes to keep systems safe, secure, and working properly is a large part of what we do here at Accudata. Under a Premium Care Agreement, we manage your Windows updates behind the scenes, after hours. We implement a “patch management process” - reviewing patches as they are released, ensuring that they work properly after installation, and then deploying them during your off hours. If a patch is deemed “broken,” we prevent it from being installed on your system. It’s possible to care that your system gets the necessary updates it needs, while continuing to ignore them: call us about Premium Care.